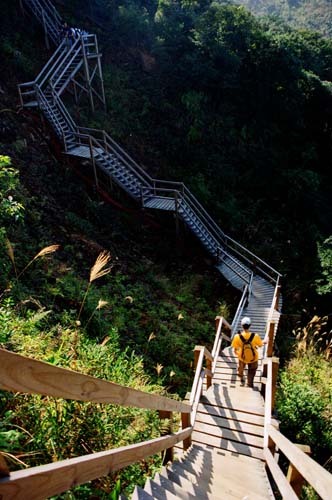 This is a relative new hiking trail. 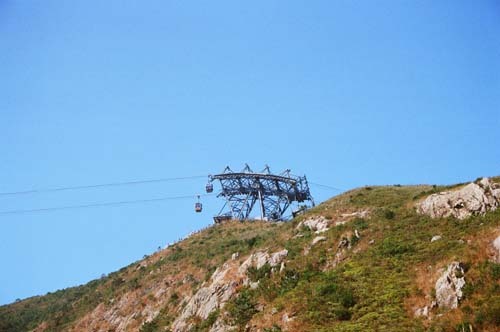 It was originally built for the construction and the maintenance of the Hong Kong "360" Cable Car. 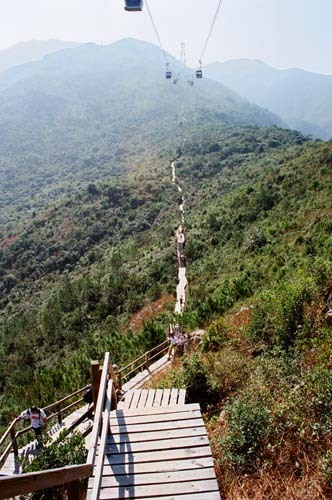 Most the trail is direct under the cable. 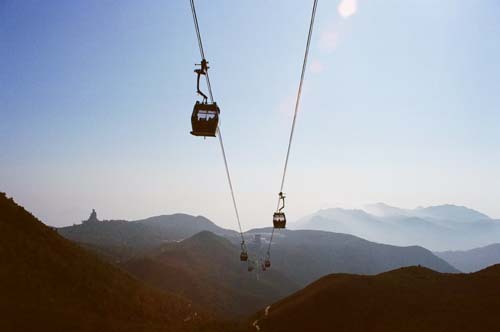 You can literally see the passengers' faces in the cable cars. 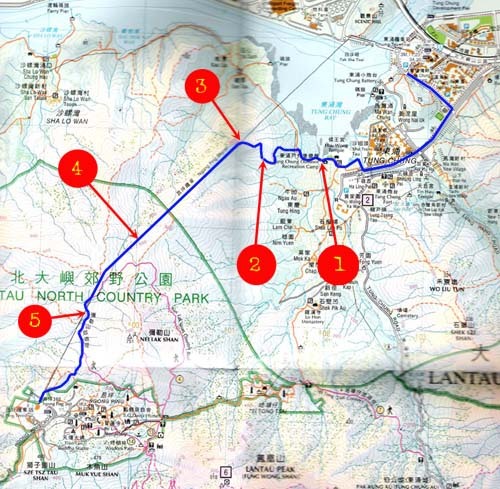 The trail is well built, it goes from 0M to more than 500M. If compounded by a burning sun, it could be a pretty demanding exercise. 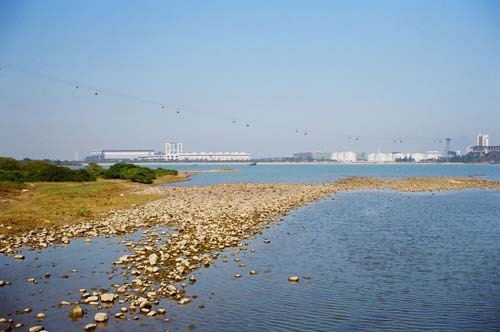 The picture was taken on a bridge where you could see the cable cars hanging over the water. It is a cable car tower. I am now standing below the cable car tower. The view here is magnificent. 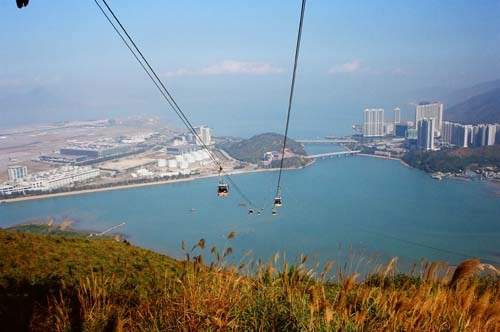 You can see HK airport, Tung Chung downtown and cable cars flying over your head. Beyond the tower is a seemingly never ending trail. 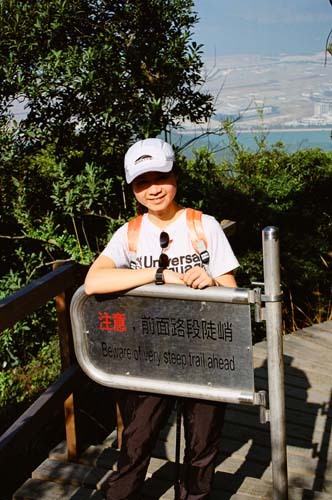 Here you will meet a sign saying the steep trail ahead. How steep is it? 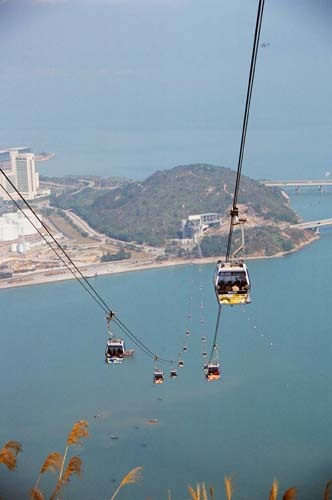 Look straight ahead is the cable car terminus in Ngong Ping where you can find assorted shops and food. On the left side is the big Budda.